Delight your eyes with these colorful Coral Orange Roses and transport your mind to autumn, the most wonderful time of the year. The time when the leaves turning into vibrant colors and the weather is getting cooler but the splendor of our coral dark orange buds, are sure to bring a bit of summer sunshine to brighten up your loved oneâ€™s days! 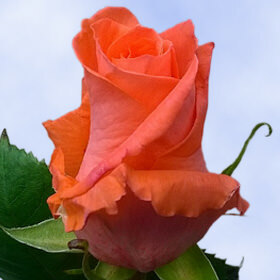 Globalrose greenhouses are located in Colombia and Ecuador, the most privileged climates in the world. 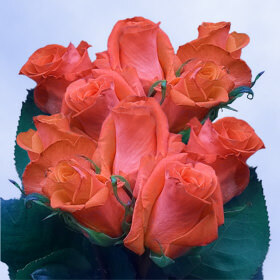 Therefore we are pleased to we guarantee top quality of fresh blossoms. Order the cheapest florets on the market without compromise the quality! We promise you complete satisfaction on every blossom order.